Warning! Sorry, property # 745 unavailable now! Tucked away on a quiet and picturesque cul-de-sac right off of Olympia Boulverad, sits this lovely and beautifully maintained one family townhouse. 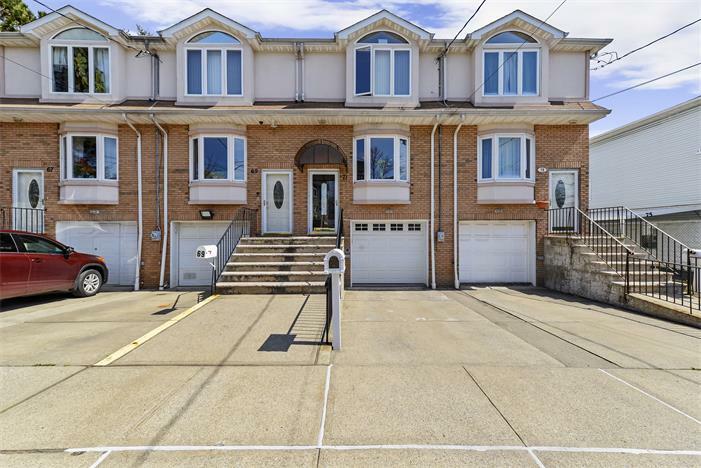 Built in 2004, this home is incredibly spacious with its 1,687 square feet, and it offers plenty of room for your family with three large bedrooms, three tiled bathrooms, and a custom-upgraded open concept modern eat-in kitchen. The kitchen is a dream for both a home cook and a professional chef, with elegant granite countertops and high-grade stainless steel appliances and overlooks private garden, away from street noise. The high ceilings, large casement windows and oak floors create a feeling of space, light and elegance that is ideal for everyday living and entertaining. Lovingly maintained and well laid out, the upstairs has three bedrooms and a large bathroom with bathtub and separate shower. New owners will feel a sense of serenity and beauty each time they enter the extra-large luxurious master suite with cathedral ceilings and full tastefully decorated private bathroom. The massive master bedroom enjoys Verrazano Bridge views, Eastern exposure, which allows sunlight to be seen throughout the day. The remaining bedrooms, each contains closets, to more than accommodate the requirement of the room's user. Throughout the house all bathrooms are uniquely appointed. Downstairs, you'll find a living area for extra lounging. The stunning outdoor space is a wonderfully tranquil oasis from the bustle of City life. The location couldn't be more flawless and it's in close proximity to most local and express buses and trains. Overall this beautiful home has every amenity under the sun and is a magical paradise for the whole family to enjoy and love. Shown by appointment only. Please contact AmeriHomes Realty at 718.447.2626 to schedule a showing.